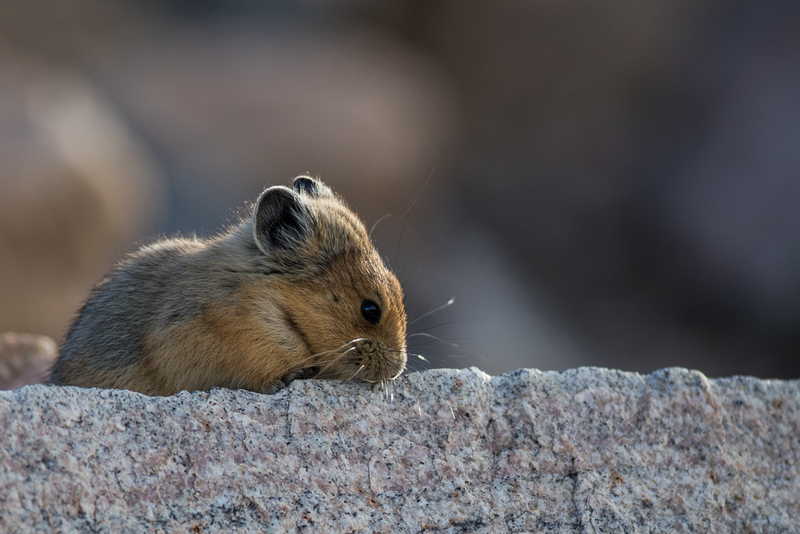 Pika's are found around the world at high altitudes on mountains. They are related to rabbits and do not hibernate. During the summer months they dry grasses to make hay which they store for their winter use. Their high pitched squeak gives away their presence but it can be good fun trying to get close as they quickly dart through the rocks. Fortunately they must have a short memory because if they have hidden away it is not normally too long before they have a peek out to see if the coast is clear. 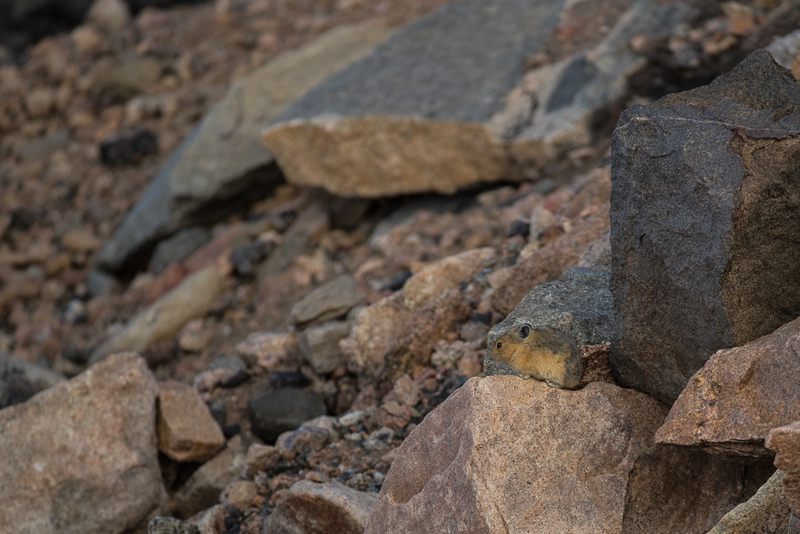 The picture on the right is cropped in and was taken when I first spotted the Pika I had heard. As you can see they blend in well with the background, although as with most animals it is their movement which often allows you to hone in on where they are. 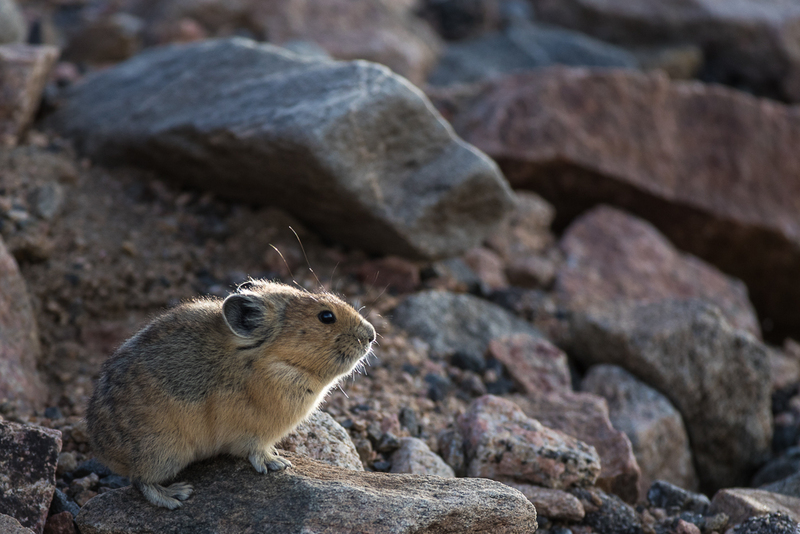 There then followed a fun thirty minutes trying to get close and get the Pika to be between me and the morning sun. Eventually I managed to get some behavioural shots I was pleased with. 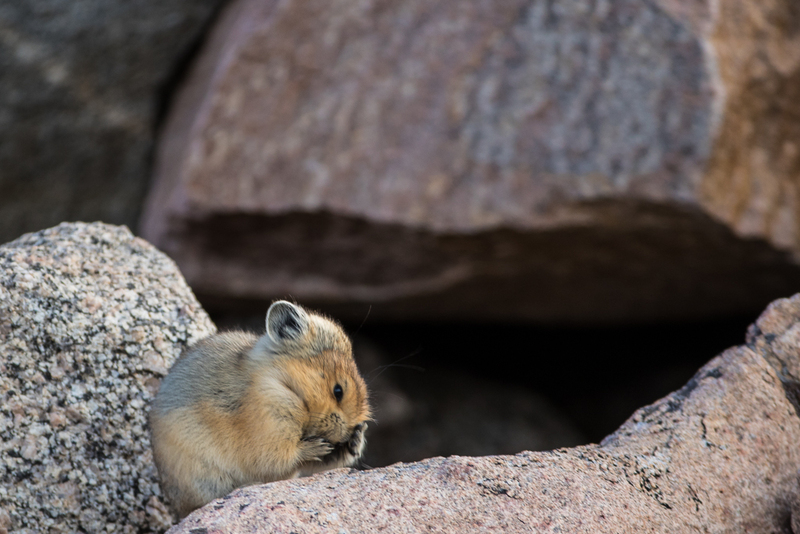 The wiki page for the American Pika can be viewed by clicking here. It never hurts to make yourself look good for the camera. Oh no! Its a long way down. 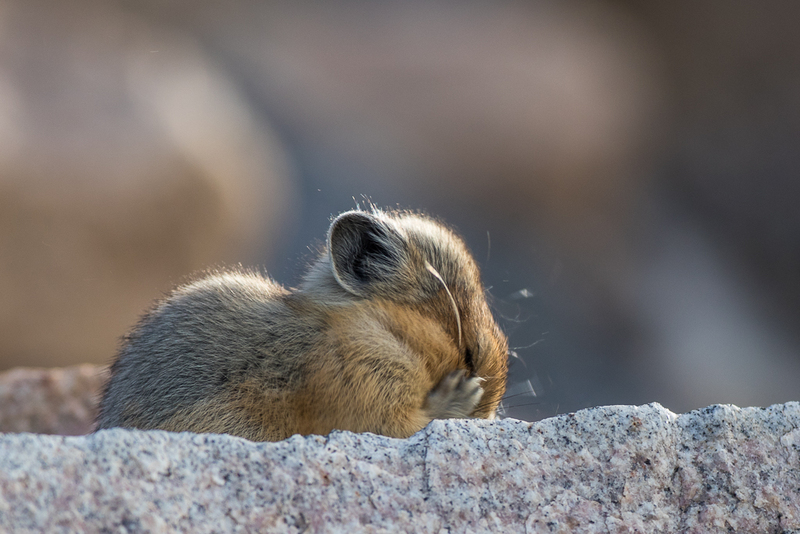 Oh I've gone all shy. 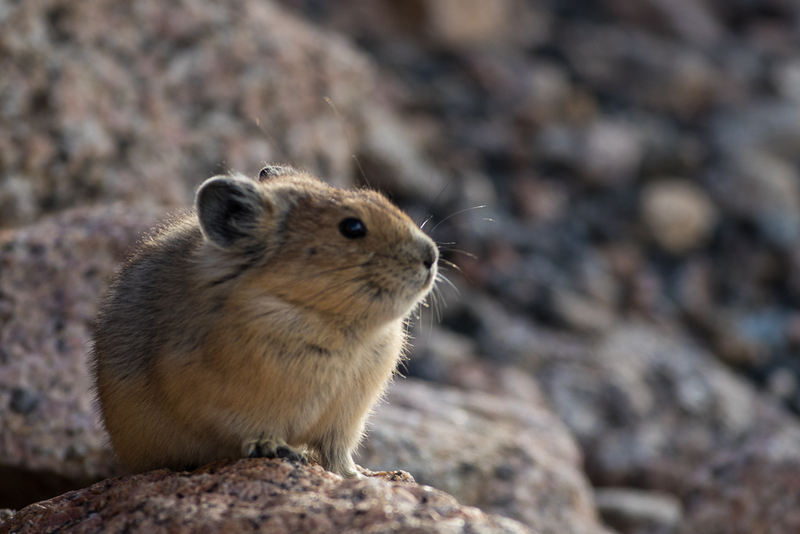 Eventually I was able to get the Pika between me and the sun to get some framing on the outline. 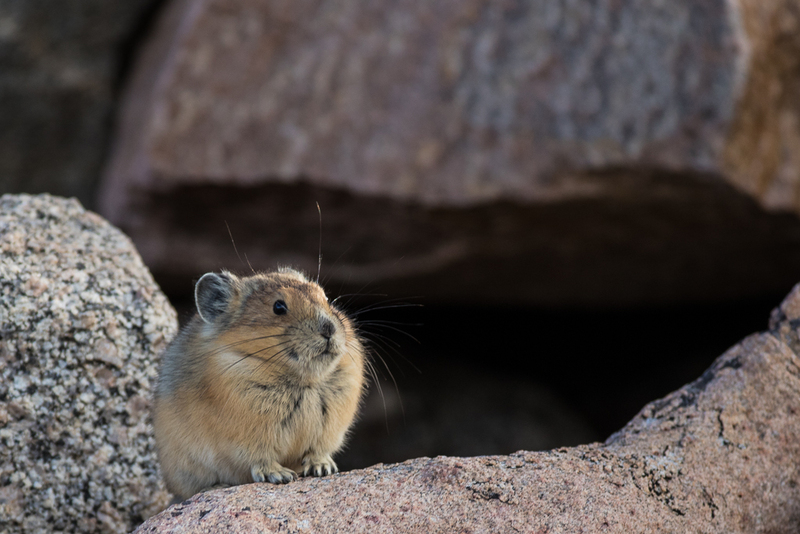 The image above is beginning to show what I was aiming for and eventually in the image below the Pika finally accommodated and provided a pose in profile.